In 1995, Fr. Ronald Pytel, just 48 years of age, had resigned himself to an early death. His heart was so damaged that a short walk left him exhausted. His weight was down to eight stone. His quality of life, was non-existent. Fr. Pytel of Holy Rosary Catholic Church in Baltimore, U.S.A had been devoted to Saint Faustina and the Divine Mercy for many years. In June 1995, Father Pytel, went to cardiologist Nicholas Fortuin, a professor of medicine at Johns Hopkins, University. Dr Fortuin told Fr. Pytel that he was in profound heart failure. He arranged for Fr. Pytel to undergo an immediate operation for an aortic valve replacement under one of the best surgeons at the Hospital. Professor Fortuin told him that even if the operation was a complete success he could never return to an active life. In 1995, the Baltimore Healing Ministry were asking St. Faustina in their prayers for at least an improvement in his health, during this prayer Father Pytel fell to the floor and although conscious, he could not move or get up for fifteen minutes. “I could talk, but I couldn’t move a muscle,” he recalls. “It was as though I was paralysed.” When he finally stood up, he felt so good he could hardly believe it. Although Fr. Pytel felt better immediately afterward, he did not know that his heart had been fully healed until his November check-up. Medical experts have concluded that Father Pytels heart recovery was so extraordinary that it could only be the result of divine intervention. 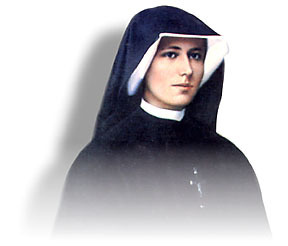 This extraordinary healing was the miracle that was instrumental in the canonisation of Sister Faustina. This entry was posted in Healing and tagged Divine Mercy, healing, miracles, prayer. Bookmark the permalink.